We didn’t have children of our own, but Avalyn was devoted to her nieces and nephews on both sides of our family. However, her “own children” were those she taught as an elementary school teacher for 33 years. All of her teaching career was in Richardson ISD, where we lived almost all of our married life. Avalyn loved to teach and loved her teacher friends. 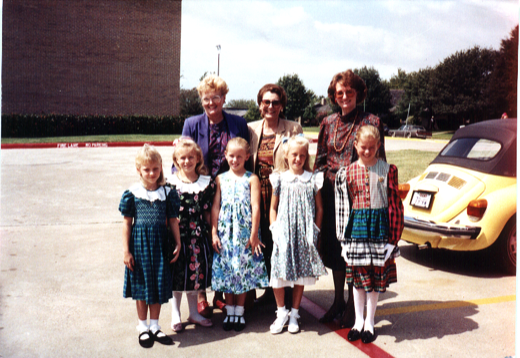 A group of young teachers she began with at Dobie Elementary formed the “Dobie Bridge Club.” Avalyn was a member for 24 years before her passing, but the DBC still meets! Our closest friends and traveling companions were all educators.